More Than Music... Making Kids Smarter! 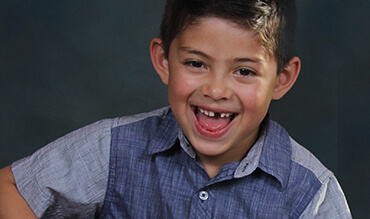 Fostering a love and passion for music in children of all ages. 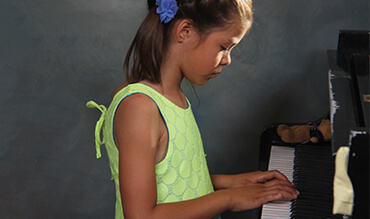 At ABC we are dedicated to our passion of working with children to enhance their lives developmentally through piano. Your student has more capacity than ever to develop neural networks in his or her brain. Let guitar be the guide to cognitive advancements. The beautiful woodwind instrument, the flute opens the doors to more advanced instruments. We work with our students to go beyond the basics. 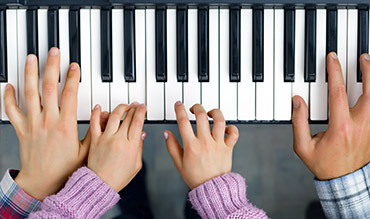 Through comprehensive and informative voice lessons, your child can learn the vocal techniques it takes to be a talented singer. With nearly 20 years of experience in music instruction, Lori Alcott has helped hundreds of students learn the fundamentals of music and form a lifelong love for the art. She is highly experienced in all Kindermusik curricula and has received multiple awards for her Kindermusik classes.